How many of you dislike cleaning the litter box? Better question, who DOES? It’s a necessity, but something no one enjoys. In a multi-cat household, it can be even worse since the litter box can get bad in what seems like no time at all, leaving a house smelling far from pleasant. From our own prior experience, and the experience of one of our cat testers, we found that there really are only two solutions that work for multi-cat households – clean the litter box multiple times a day, or use a self cleaning litter box. 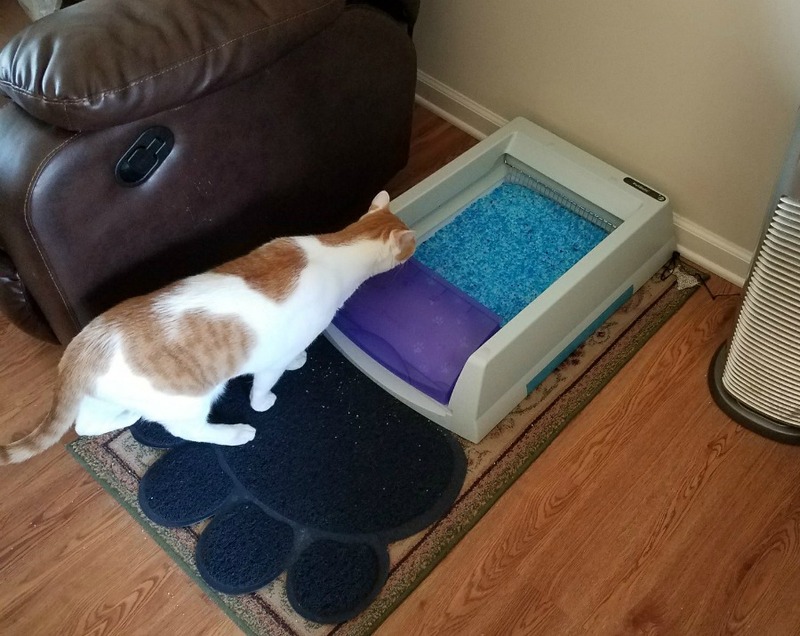 Knowing that many of you are as busy as our own household, and just as eager to use that scoop several times a day as I was, we are excited to share with you why we think using an automated litter box is the better option. As every cat owner will tell you, keeping a litter box clean can be a major hassle, especially with multiple cats. When it comes to keeping your house smelling great and everyone as health as possible in your home (cats and humans), it is important to have a solution in place that keeps the litter box as odorless as possible. That is one reason why we prefer a self cleaning litter box. These litter boxes have sensors that clean up messes just after they happen, keeping urine smell down and feces in a special compartment to keep it away from noses, other pets, and children. As someone who has tried quite a few litter boxes over the years and has worked with cat testers, I have to say our favorite self cleaning litter box is the PetSafe ScoopFree® Original Self Cleaning Litter Box. This super quiet litter box isn’t intimidating to cats, and is designed with busy pet parents in mind. Part of what makes it unique is a design intended to truly be self cleaning for weeks – requiring no scooping, cleaning or refilling. It even has an all-important closed waste compartment for superior odor control, and high quality crystal litter in its disposable trays absorbs urine with 5x better odor control when compared to other litters. 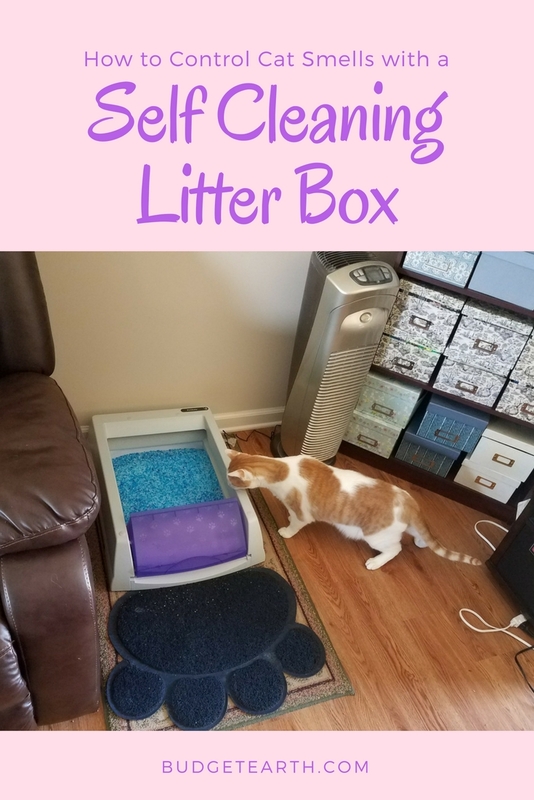 As well, this self cleaning litter box has been lab tested to operate for 100,000+ cycles without failure or jamming, so you can work without ever worrying that your litter box will knock you senseless when you get home at the end of the day. Best of all, both the litter box and refills are currently cost effective too, allowing you to keep your litter box clean without breaking the bank, with the PetSafe ScoopFree® Original Self Cleaning Litter Box starting at $129.95 on Amazon.com. One of the things that is extremely important when it comes to keeping a healthy litter box is making sure you don’t just clean the litter box, but dump dirty litter regularly. Of course, with many of us having busy schedules, sometimes picking up litter falls off the list until your nose reminds you, and this is one of the reasons our pet writers absolutely LOVE buying litter online. When it comes to remembering litter, nothing is better than a subscription service or using Amazon’s Dash buttons. 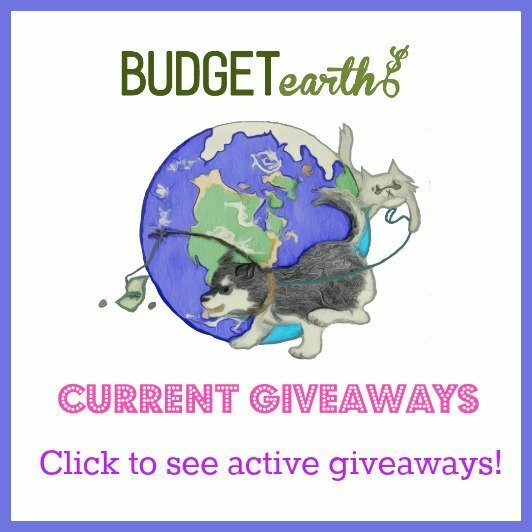 We love the Petsafe ScoopFree Dash Button since it allows you to get the best price on Amazon and order litter when you first know you need it, without having to log onto Amazon. If you are a Prime member, you even get free shipping! Even though a self cleaning litter box is useful and makes cleanup a snap, you do need to still need to have a good regimen when it comes to changing the litter. 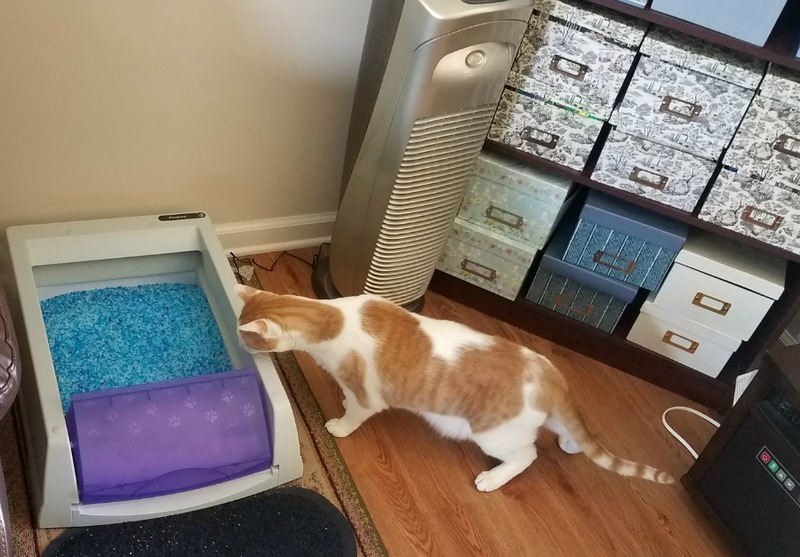 While I have tried quite a few different self cleaning litter boxes in the past, I have to say that the PetSafe ScoopFree® Original Self-Cleaning Litter Box is the easiest for cat owners since it makes cleanup and changing the litter very easy for busy cat owners. Rather than constantly dumping the litter, the box itself has a health counter to tell you how many times cats have used the box to help you determine when the litter does need changing. Rather than dealing with dumping and cleaning new litter, PetSafe keeps pet owners hygiene in mind by making the whole litter tray disposable. Just take out the disable litter tray, put on the provided top, toss the old litter, and put in a new disposable tray with litter. Since the trays are currently cheap with the Petsafe ScoopFree Dash Button, it is fairly easy for busy cat owners to quickly keep the litter box clean for your cat and you! Do you use an automated litter box at home? Tell us your favorite tips for keeping your house smelling amazing and your cats’ litter box under control in the comments below! This self cleaning box sounds awesome. I rescue cats and am always scooping the boxes out. This would really be of help to me. To keep the odor down I sprinkle baking soda in it. It sounds awesome, I could really do with one of these. I need this in my household! With 3 cats in the house, it’s so hard to control the litter box odor!! I would LOVE this because I hate cleaning the litter box! This is great! The disposable litter tray and telling you how many times the cat’s used it and when it needs replacing are great features. Thanks! I desperately need one of these. Thanks for posting! have 8 cat’s have never use one of those thing do cat’s really like them? I can see where this would be great for multi-cat households. I no longer have a cat. We’ve had a few self-cleaning cat litter boxes in the past as well and have done well with them but the PetSafe one sounds like a true investment by far. We have 2 cats and would greatly benefit owning one of these. We no longer have cats, sadly we discovered my husband and one son were allergic. Cleaning the litter box was definitely my least favorite part of cat ownership…..this litter box sounds grand! I really need to invest in a self cleaning litter box. I know that you still have to empty them and change the litter. Still though to have a clean looking box throughout the day would work for me. I would love to have a self cleaning litter box, and this one seems fabulous, but I don’t know if it would work for our cat. For some reason, she drags anything she can find and puts it in her litter box. She drags toys, grocery bags, makeup, lipstick, empty cans from the recycle bin, paper, homework, coloring books, legos and even a soccer ball into her clean or used litter box. She has stacked boxes in there like she’s making a collage or some other artwork. We have tried everything to break her of this messy and nasty behavior. The vet just shakes his head and shrugs his shoulders. Any ideas? I’d love to have self-cleaning litter boxes but we have too many cats for this to be realistic for us – unfortunately! such a cute kitty! i have 4 cats and one is especially picky about his box being cleaned so this would be perfect for my home. I don’t own a cat but my in-laws do and when go out of town my husband and me are the lucky cat sitters. And I don’t like it because I gag when it comes to cleaning the litter box. The Self Cleaning Litter Box would have saved my stomach so much trouble if it had been available when we were sitting their cats. I didn’t even know they made something like this! My sister’s family own three cats and this might be a good fit for their busy life. Great system, looks like it saves a lot of time. I am telling my sister about this litter box. This will be so nice for her since she has four little ones now. This is a nice concept. I haven’t had a cat in a while, and now with people keeping their cats inside mostly, the litter box becomes even more important. I would definitely want this if I ever have another cat! Great product for pet owners. This would work great.